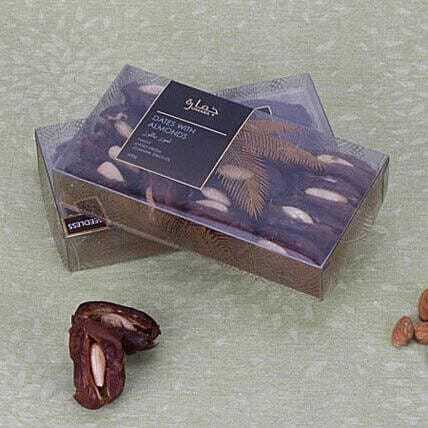 Nothing beats the gift of great-tasting fruit Whether you want to surprise a friend, welcome a new neighbor or please a loved one, look no further than this dates with almonds gift box. The classy transparent box with Arabic script will show your appreciation and make a wonderful appreciation for that special person in your life in a big way. Packed securely, this soft and sweet almond stuffed with roasted almonds will delight the recipient in every delectable bite.